The hotel is in a quite location just a few minutes from the noise and bustle of Times Square. 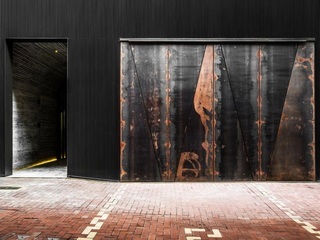 It scooped the title of Boutique Hotel of the Year in the SCMP/Harper's Bazaar Style Awards 2007, shortly after the hotel celebrated its first full year of operation. It has 188 suites and 6 penthouses. There is a laundry service offered. The interior blends contemporary living with classic designs from different eras. The handpicked artworks create a home of comfort, warmth and peaceful tranquility. Rooms come with hairdryer, telephone, TV, kitchenette, fridge, microwave, ironing set and a safe. The hotel has a fitness centre. Breakfast is served as a continental style buffet. The 133 Lounge offers guests a private living room. The lounge is exclusive for the use of hotel VIPs and guests, and is designed to bring the comfort of home away from home. An excellent hotel in an excellent location! 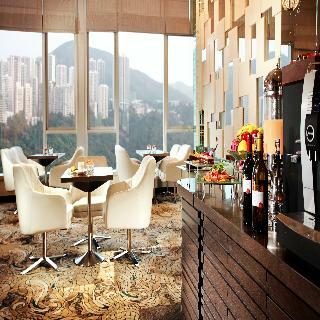 Situated in the heart of Shatin with commanding views of the Sing Mun River and Shatin Central Park, the 4 star Royal Park Hotel offers spacious and luxuriously appointed accommodation, superb dining and leisure facilities and a warm and friendly welcome. The massive New Town Plaza with over 300 shops and a 10 screen cinema and Shatin MRT station with quick and easy access to Tsim Sha Tsui, Nathan Road, and the rest city are on the doorstep making this is a popular hotel with both leisure and business guests alike. After a full day's business, sightseeing or shopping, guests have a wealth of leisure and dining options to suit their needs. Relax in and around the large indoor/outdoor pool, enjoy a workout in the state-of-the-art gym, a game of tennis or rejuvenate body and soul with a massage or beauty treatment in the Health Club. For dining, enjoy Cantonese and seafood delights at the Chinese Restaurant, traditional Chiu Chow cuisine at the Cui Chow Restaurant or Sushi, Washoku or Teppanyaki specialities at the Sakurda Japanese Restaurant. Then it's onto the One to One bar for live entertainment and cocktails. All 443 air-conditioned rooms and suites are luxuriously finished in a contemporary style with panoramic river or park views and boast all modern amenities including Internet connection, Satellite TV with pay movies, minibar and hairdryer. 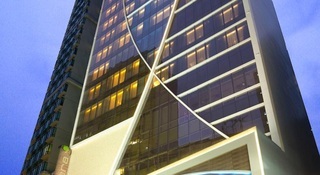 This luxurious city hotel is situated in Tsim Sha Tsui East in the Kowloon district of Hong Kong. The hotel offers guests ease of access to prime business addresses, cultural heritage sites, entertainment complexes and superb shopping areas, The Science Museum is just a 3 minutes' walk away.This spectacular hotel is the design of renowned designers and artists, who have achieved the perfect balance of refined elegance and contemporary style. 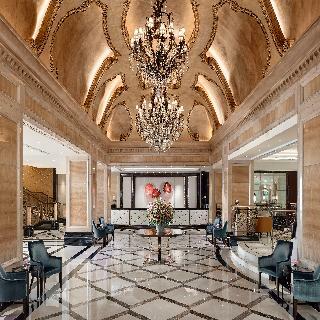 Guests will be met by striking decor and designed around every corner of the hotel. The guest rooms feature sleek, luxurious decor and designs, offering a haven in the city where guests can relax and unwind with the feeling of being worlds away. Guests are afforded a host of first-class facilities and amenities, catering to all their needs with the highest degree of excellence. 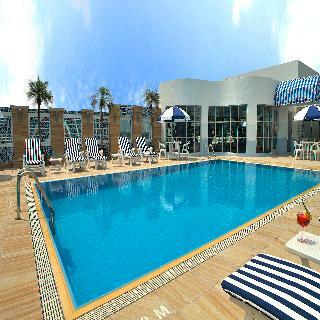 Located near the Kai Tak Cruise terminal and Mongkok area. Harbour Plaza 8 Degrees offers modern accommodation. 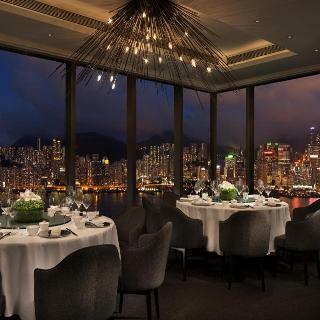 Award winning Harbour Plaza 8 Degrees is devoted to provide the ultimate unique Hong Kong hotel experience. Designs that delight your senses, intimate rooms, luxury hotel suites, a stunning lobby, distinctive restaurants and bar, multi-purpose function rooms and extraordinary facilities, blending comfort, style and convenience. 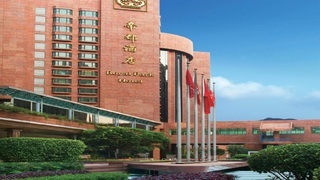 The Regal Hong Kong is situated in the heart of Causeway Bay, one of the city's main commercial and shopping districts. Set facing Victoria park this award winning park offers guests an idyllic setting on the island. 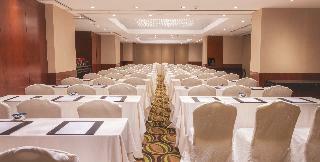 It is conveniently located just a short taxi ride away from the conference and exhibition centre of the city. This magnificently designed European-style hotel with its splash of decadent gold has been visited by many prominent figures throughout the years including Sir Bob Geldof and the President of Zanzibar. The spectacular guest rooms are artistically furnished with soothing colours, impressionist paintings and a marble fitted bathroom offering guests the ultimate in luxury and decadence. The preferred choice for business travellers, the hotel boasts exemplary services and amenities including a fully equipped business centre and 21 elegant function rooms. 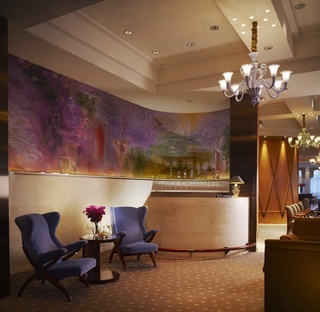 Well-positioned in Causeway Bay, this hotel provides a quiet oasis amid the Hong Kong bustle and offers easy access to all the city's must-see destinations. The hotel promises impeccable service alongside a good range of amenities, and features beautifully appointed guestrooms including minimalist design and contemporary style. Rooms are en suite and come with air conditioning, 40-inch cable HDTV, free Wi-Fi and tea/coffee making facilities. Guests can enjoy fine Italian cuisine at the on-site Silver Room, which serves a range of hand-made pasta dishes, grilled meats and fresh seafood in a sleek modern setting. The hotel also offers access to a good range of services, including 24-hour front desk, currency exchange, laundry/ironing and full concierge services, all designed to ensure guests get the very best from their stay.